The large flat-top head will allow you to achieve a flawless base quickly and effortlessly – it is perfect for contour blending and softening harsh lines. The angled small head is perfect for precise contouring, as well as concealing under the eyes, around the nose or small curvatures of the face. I adore this brush! Although not for it's intended purpose. 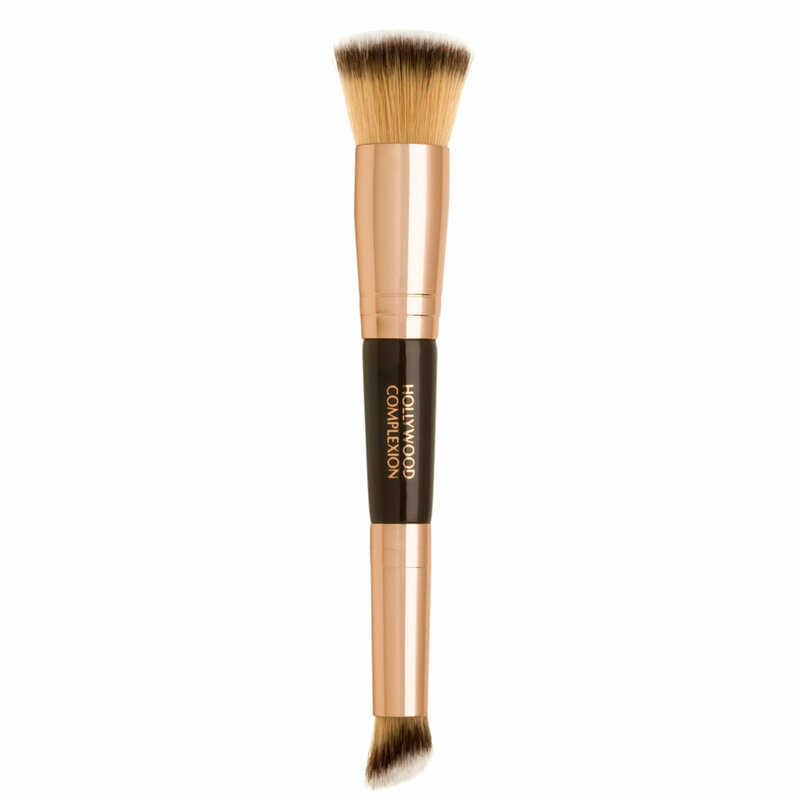 I prefer to blend out Charlotte's contour wands with my fingers...but this brush is INCREDIBLE for blending out foundation and concealer. It was smaller than I expected, but that just makes it great for travel. It blends out my cream bases so flawlessly; I can't imagine using anything else now! I love this brush. It's super soft, plus the size and texture make it suitable for many purposes. I find myself using it for both cream and powder products, and the smaller size can work for eyes as well as your face. It's great for travel. I've had mine for about two years and it's still going strong. A solid Charlotte Tilbury product from a line that I often find overhyped. I don’t like the brush. I like the brand.everthing I bought are goods .but just this brush! I tried so many times,the brushing is disappointed me.I feel pricking on my face everytime.It is not desired this price.